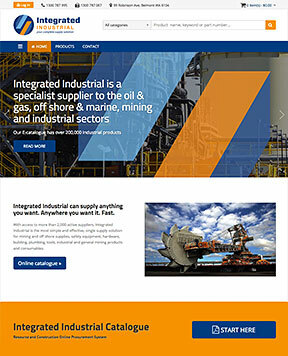 Integrated Industrial eCatalogue - Mining Supplies, Off Shore Supplies, Construction Equipment. The Integrated Industrial Electronic Catalogue currently features over 100,000 items from a vast array of categories and growing. The catalogue represents a small selection of products to support our customers Construction and Production requirements across the Mining, Construction, Offshore and Industrial sectors. We can literally supply "Anything, Anywhere, FAST", and source products from both local and international suppliers to satisfy our customers' needs. If you require any items not listed on our catalogue please contact out vastly experienced team of industry professionals who have the knowledge and ability to assist.